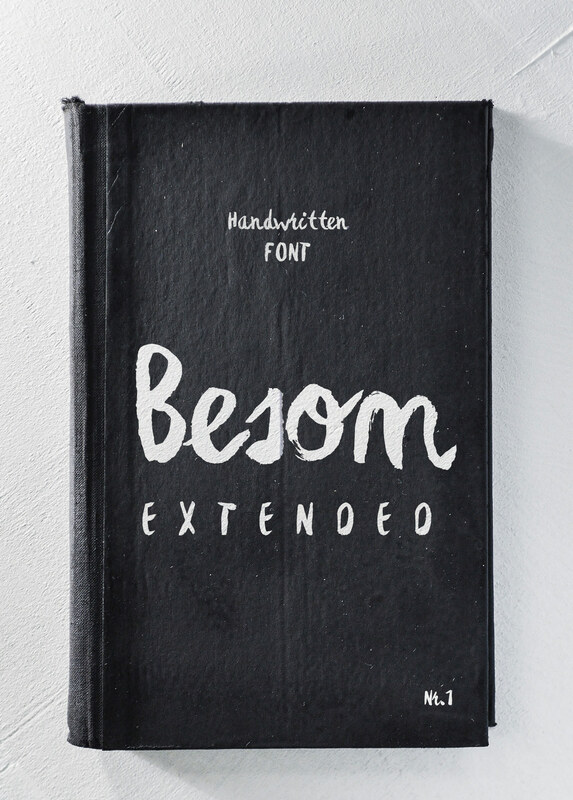 Hand drawn brush lettering font "Besom extended" a unique and fresh typeface. 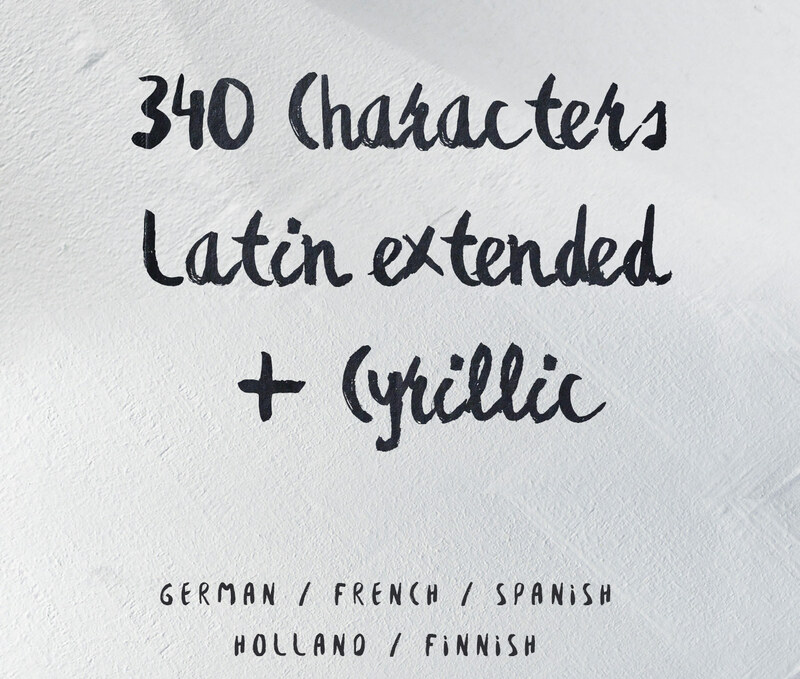 The Besom Extended comes with upgraded glyphs, cyrillic and latin extended character base, with small letters included. Every single letter has been drawn with a thick brush on white paper. The visual lettering style makes it harmonic and gives a playful, fresh and original look.